The Austrian regional bank achieved profit before taxes of € 16.6m in the first half of the year, up 1.2% year-on-year. 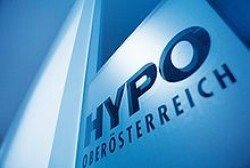 The management of Hypo Upper Austria (Hypo OÖ) expects half-year results to be in line with those of the first six months of 2010. This was announced by CEO Andreas Mitterlehner on Monday.